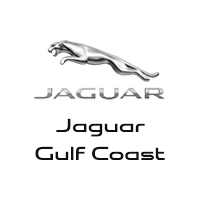 Jaguar InControl® is a suite of services and applications that connects you to your vehicle and links you seamlessly with the outside world. Even when you’re away from the car, InControl stays with you, making sure the Jaguar experience is more enjoyable than ever. InControl Touch is the new standard multimedia system, featuring an 8-inch touchscreen with intuitive touch and swipe controls. It incorporates a cutting-edge navigation system with 2D or 3D maps and voice prompts. There’s seamless phone connectivity as well as climate, entertainment and vehicle controls to suit your mood. InControl Touch is the hub for many driver assistance features and additional optional extras. InControl Wi-Fi provides in-car access to the internet, enabling up to eight wireless devices to be used simultaneously in the car. Passengers can connect through the vehicle’s wireless network to surf, work, update social media and stay entertained throughout the journey. Jaguar InControl Apps technology allows vehicle-optimized apps on your smartphone to be controlled through the vehicle’s touchscreen, including Contacts, Calendar and Music Player. You can also download third-party apps offering a vast range of services. In the event of needing vehicle assistance, Optimized Jaguar Assistance transmits location and vehicle diagnostic data to the Roadside Assistance provider. In a more serious incident, SOS Emergency Call notifies the emergency call center to notify the appropriate authorities for your situation. Updated specifically for Apple Watch, Jaguar’s new InControl Remote app keeps you in touch with your car at a glance. Now you can lock and unlock doors, check your fuel level, range and dashboard alerts, control the climate and even activate beep and flash to help locate your car, all from your wrist. The app is fully compatible with existing InControl Remote and InControl Protect accounts.